With the absurd spectacle and visual glory featured in just about any 21st century blockbuster, chances are you’ve probably pondered exactly what it takes in order to make it all come together. So how many people does it take to make a movie? Well, first we’ve got to figure out what type of movie you have in mind. The actual number can vary wildly, depending on if you’re referring to a Hollywood blockbuster, independent arthouse film, or anything in between. Let’s break it down into different categories so that you can quickly find the answer you’re looking for. Note: We’re going to be referring to feature-length films, (the conventional, popular definition of “movie”). 2 Extreme Example: How Many People Worked On Avengers: Infinity War? Now, like all things in the film industry, you’re going to find some extremes on both ends of the spectrum. However, to answer your question, Let’s start with an average answer for your everyday Hollywood Blockbuster. 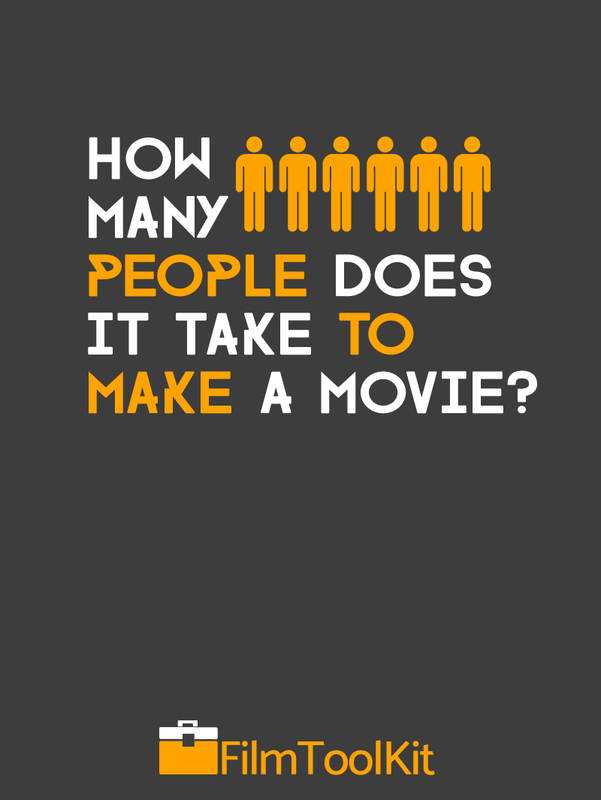 It takes around 500 or less people on average to make a movie. Unless the film is a part of a major franchise (AKA a Disney Movie), or is an expensive action flick, chances are there’s less than 500 people working on it. These jobs are much more varied than the average moviegoer might expect. It’s obvious that there are people operating the camera, setting up the lights, decorating the set, making the costumes, and recording the sound. However, there are many other jobs that might not be as apparent. Here’s a brief list and summary of a few departments you might not be aware of if you’ve never stepped on a film set. Locations – An entire department dedicated to coordinating the locations that will be used for filming, and the management of them while in use. Transportation – When filming on location, different sets may have quite some distance between them. Productions also typically have a base camp where the crew is fed and the trailers are housed, so the transportation department must shuttle cast and crew between the base and the shooting locations. AD Department – The department we write about the most on this site. The AD department basically keeps the rest of the film set running smoothly and on time. Writing – We all know all films have a writer, but did you know that many large blockbusters often feature a team of 3-8 writers? Some films can even have upwards of thirty in rare cases. Stunts – Unless the actor is Tom Cruise, almost anything remotely dangerous in a film is done by a stunt double. In larger movies, it is not uncommon for there to be a few hundred stuntmen hired to handle large battle sequences. Marketing – with large films, it takes a whole team of people to determine the best course of action for filling the seats in the theater. Check out how many stunt performers are required just for this single shot in Game Of Thrones. Seventy Three. These departments alongside dozens of others work tirelessly to bring films to life, and on large-budget Hollywood productions, the tally usually ends up being in the 300-500 range. However, there are many factors that can cause this number to skyrocket. Major blockbusters like the Mission Impossible or Fast and Furious franchises create more dynamic stories and visuals by shooting their films on location, typically in 4-5 different countries. While certain key creative roles will travel to all of the countries, (directors, DPs, producers, other department heads), a large portion of the crew is hired locally where the film is being shot. This means that the number of “people” involved in making a movie shot across multiple locations can be several times higher than one made in only one place. In addition to there being separate crews in different locales, often times the time-crunched nature of staying in production means that films will end up taking on a second unit. Resources like actors, sound stages and equipment rentals can be very expensive, so there is often great incentive to shoot multiple things at once. Second units are comprised of a completely separate (slightly smaller) crew of people who are responsible for shooting less important shots such as stunts, inserts, re-shoots, pickups, and coverage shots. This means an entire new group of people are getting added to the credits for their work on the second unit. Some films may even have a third, or fourth unit shooting simultaneously, often referred to as additional second units. I hate to break it to you but those ants aren’t real. They also didn’t animate themselves. While there have been tons of great stories in the theaters lately with absolutely no CGI, the fact of the matter is that a very high percentage of top grossing films nowadays are very heavily reliant on computer-generated imagery. Rightfully so – nowadays it blends so seamlessly you can hardly tell it apart from reality. Such realistic CGI comes at a high price however, as visual effects artists typically make up more than half of the crew of these films. If you want to get really nitpicky about how many people it takes to make a movie, you’d have to count the people in front of the camera as well. In addition to the dozens of stars and featured actors, there are also background workers or “extras” that need to be taken into account if we’re calculating how many people were involved of the making of any given movie. Background actors aren’t credited, but still play a crucial role in making films look and feel “real”. 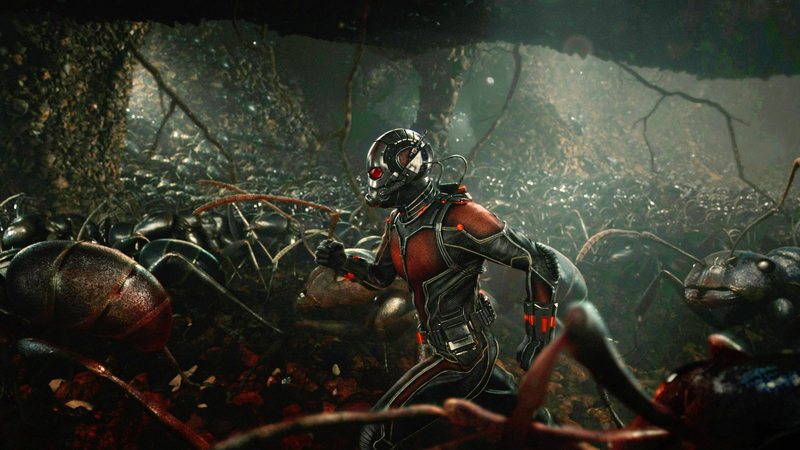 A large set-piece in a film that involves a large crowd can involve upwards of 200 people, and a Marvel movie will typically have several scenes of this nature on average. Smaller scenes like those in restaurants or buildings will typically feature between 10 and 30. You’re probably desensitized to seeing this large of a crowd, but you should consider that this was made before CGI was a thing. The amount of extras used is seldom made public, but there have been several absurd cases in which many extras were used. Lord Of The Rings featured 20,600 different background actors, which sounds quite absurd until you consider the fact that the 1982 landmark film Ghandi featured 340,000 extras in the famous funeral scene. This was made possible by the fact that all of India wanted to be a part of the making of the film, so most of those in attendance were volunteers. We don’t think this record is going to be broken anytime soon. Extreme Example: How Many People Worked On Avengers: Infinity War? The magnum opus. The greatest crossover event of all time. 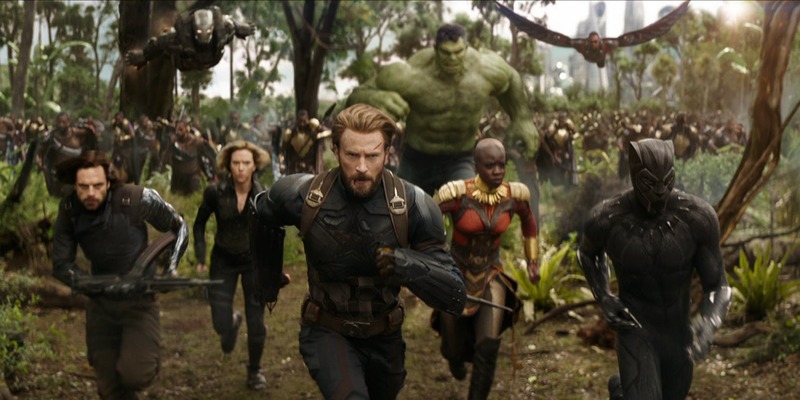 No matter how you put it, it’s really not difficult to conclude that Avengers: Infinity War was the most ambitious film of all time, and as a result had one of the most massive crews ever. Shooting locations included the UK, Philippines, Brazil, Scotland, Georgia, and New York. A lot of people made this happen. A lot. According to the official cast and crew list, over 4000 individuals were involved in the making of Infinity War, and that’s only counting the people behind the camera. Here’s some of the most interesting numbers we found from breaking down the credits list. 192 People in the Art department. 2091 People in Visual Effects (CGI). This does not take into account another 100 people in the animation department. 261 People in the Stunt department. 259 People in the Camera department. 88 People in the Costumes department. It is important to note that these departments seldom worked together as a cohesive unit. As mentioned earlier, different shooting locations means different crew members. That massive VFX figure is the combination of several different studios who worked on different parts of the movie. In doing research for this article, we stumbled upon this fantastic article by Animationboss that breaks down how each of the different studios contributed in the VFX process, if you’re interested in learning more. Yeah, not exactly a difficult film to make. The original Paranormal Activity film is famous for having the largest ROI of any film ever, with a measly budget of $15,000, it managed to earn over 193 million. The creative, innovative storytelling meant that the film could be made with a much smaller crew. According to the IMDB page, it had a crew of only around 40 people, with some people doing multiple jobs. This film is notable to us not only because of how much “mainstream” success it found, but because of how easy it was to make. The vast majority of the crew were people who helped out mixing the film in post, as well as those who worked to market and distribute it. On set, the crew was so small they didn’t even need to hire camera operators – the camera mostly remained on a tripod! On many other low budget independent films, many departments can be comprised of only one person running everything. You may even have instances where several jobs are handled by one person! In Paranormal Activity, Cinematography, editing, casting, set decoration, and costume design were all handled by writer, director, and producer, Oren Peli. The 1992 renowned classic is another shining example of what can be accomplished with limited resources. After raising the paltry sum of $7000, director Robert Rodriguez wrote, produced, and directed the film that has gone on to earn over 2 million dollars, and dictate the rest of his career, as the success story has spawned books and even a television series. With such a small budget, you might assume that Robert Rodriguez would have to do just about everything himself – and you would be correct. He’s credited as the editor, cinematographer, sound editor, special effects technician, and camera operator. The only reason why he didn’t act in it too, is because he wouldn’t have anyone to hold the camera if he did that! Lead actor Carlos Gallardo played a big part as well, doing work as special effects, grip, UPM, and producing. There were just around 20 other names throughout the credits of the film. In addition to this miniscule crew, Robert issues a “special thanks” to around 25 people in the credits for their minor contributions to the film. These are likely people who provided things like locations for free- one special thanks towards an Alfanso Arau is noted as “Provided the bathtub”. 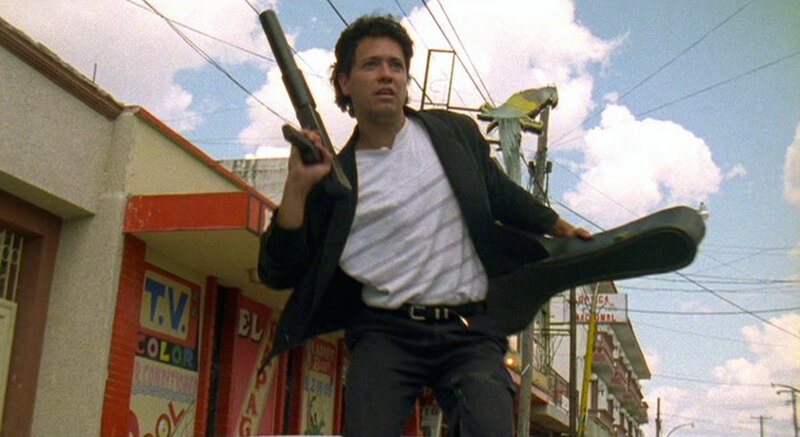 So if you were wondering what the bare minimum crew to make a film is, there’s no better example than El Mariachi. Of course it is also important to note that Rodriguez made the film within a limited amount of time, and that most of the budget went towards film processing costs. If time was not a factor, he probably could have made due with even less people assisting him. The number of hands that end up touching a film can vary wildly, but is probably a lot more than you expected. If there’s anything you should take away from this, it’s that while thousands of hands can make a great film, so can a dozen. Or one pair of hands. When filmmakers get creative, limitations can become what ends up making the film special. …And if you see your favorite action hero getting a moon thrown at them, it probably took a couple hundred people to bring it to the screen. If this article was interesting or eye-opening to you, check out our similar essay on how long it takes to make a movie!